Some of the most celebrated albums in pop music history have been the result of a break-up: from Frank Sinatra’s ‘In the Wee Small Hours’, Bob Dylan’s ‘Blood on the Tracks’ and Fleetwood Mac’s ‘Rumours’, to ABBA’s ‘The Visitors’, Alanis Morisette’s ‘Jagged Little Pill’ and most recently Adele’s ‘21’. Even Rihanna’s post-Chris Brown album ‘Rated R’ is probably her most interesting. But what effect does a “conscious uncoupling” have? What insights can we gain from Chris Martin’s lyrics? The most immediate change for Coldplay on ‘Ghost Stories’ is their evolution in sound. Over the course of their career they’ve steadily been incorporating more and more synth elements into their music, but with ‘Ghost Stories’ they’ve gone full-on electronic. This is hardly a Radiohead jump from ‘OK Computer’ to ‘Kid A’ though. Instead, it sounds more like a band struggling to remain relevant in an increasingly electronic musical landscape. The overall tone is downbeat and sombre, reflecting the obvious subject matter, but for the most part it lacks personality. Midnight and A Sky Full of Stars represent the two extremes of their new sound. The former is an introspective, slow-burning mood-piece with auto-tuned vocals that sound as beautiful and ghostly as you might expect, only introducing a pulsing beat in its final third. The latter was produced by Avicii, turning a delicate song into a massive club banger that’s at odds with the rest of the album. It sounds more like a dance remix of an existing Coldplay track rather than an original. Most of the tracks sit somewhere in between, the whole album settling into an unremarkable mid-tempo groove. Magic is a tender little song of raw emotion (“I just got broken, broken into two”); Ink pairs nocturnal guitars with a bossa hand clap beat; True Love shuffles along like a corpse, despite its abrasively dissonant guitar solo; and acoustic ballad Oceans harks back to the band’s ‘Parachutes’ heyday, but like so many of the songs on ‘Ghost Stories’ it’s melodically stagnant. Moreover, it’s Martin’s lyrics that disappoint, lacking poetry, sophistication or any depth of emotion. In the case of Magic, the song’s charm lies in its simplicity: “And I don’t… want anybody else but you”. Elsewhere though he relies on trite metaphor (Ink’s “got a tattoo and the pain’s alright, just one way of keeping you inside” and O’s “a flock of birds hovering above…that’s how you think of love”), or settles into mundanity (as on Anothers Arms – “late night watching TV, wish that you were here beside me”), made all the worse by his whiny vocals too often devoid of hooks. ‘Ghost Stories’ ends up being an electronic dirge with Martin dispassionately wallowing in his own misery. It’s about as bland and tasteless as Gwyneth’s cookery. Maybe all that flaxseed oil has addled his mind. Chris, it’s about time you ate a burger and got a rush of blood to the head. 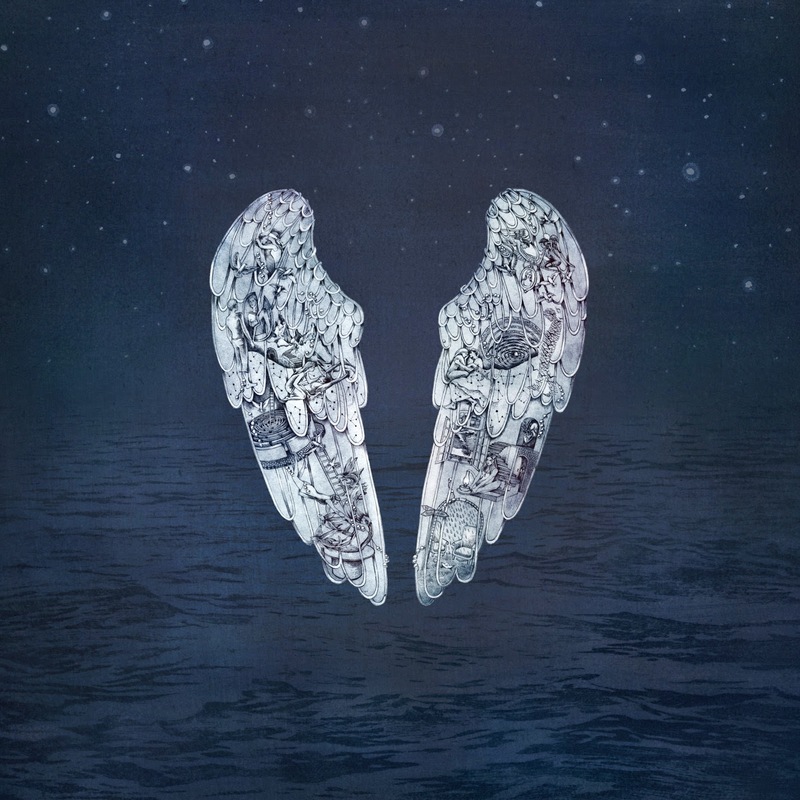 Listen: ‘Ghost Stories’ is available now.